Over the recent years I've been making pokemon fan art, and was totoally inspired by the Pokemon Time style. By the way anyone in SoCal area attending Pacific Media Expo (PMX) this weekend? Ok guys, so I have a couple of Pokemon Time plushes and other nicknacks available today! Check them out under the cut! Just a post wondering if anyone had any totodile time merchandise they'd be willing to sell, such as the strap. 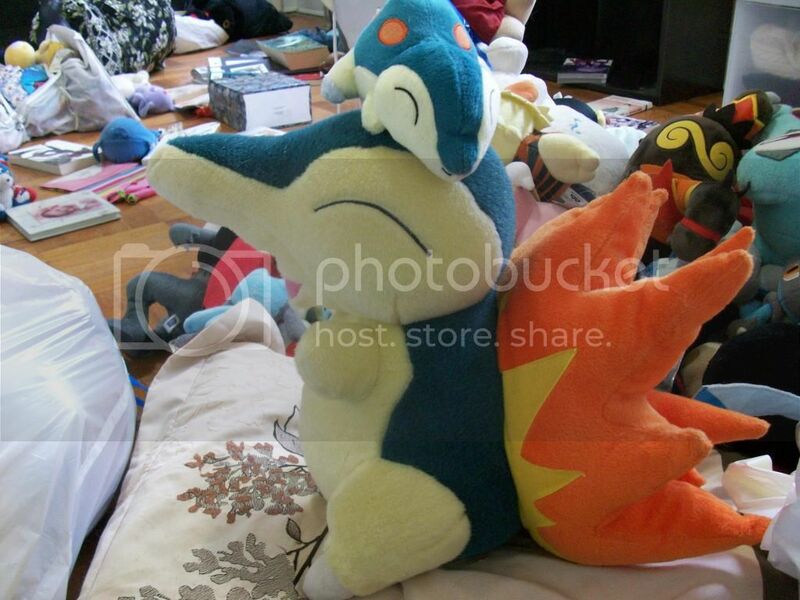 REMINDER - 1:1 Scale Cyndaquil Plush still for auction! 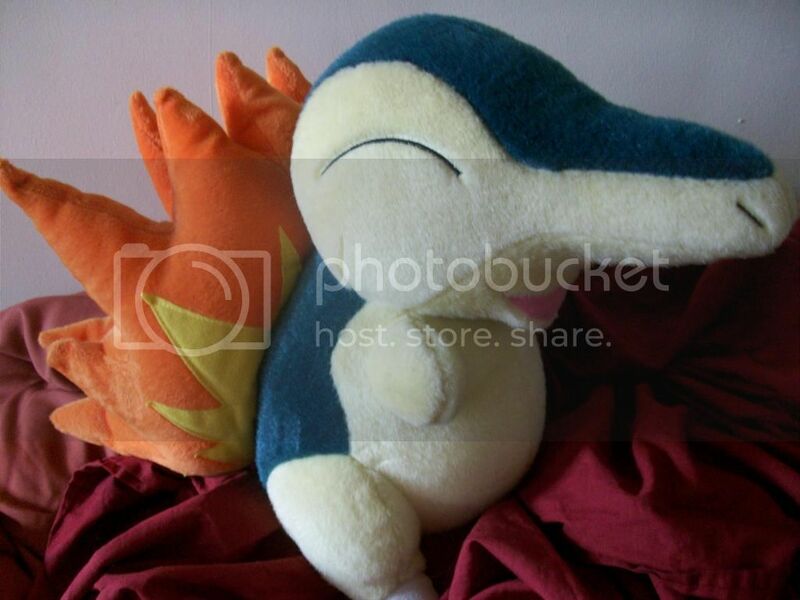 Just a friendly reminder that the incredibly rare, incredibly awesome 1/1 (that means life-sized, aw yeah) Cyndaquil plush is still up for auction, WITH NO BIDS. Crazy. Click for a link to the original post! SMJ Gets!!! And payment reminder! I hope your day as been awesome, mine just got so so much better when the mailman brought me a big ole box! Follow me to see what is inside! Thanks so following me to see all the goodies I got. I am a very happy gal today. ALSO, I am still waiting on payments for the Stamp GS I am hosting. Please pay soon, I do not want to leave negative feedback for anyone! That's all for today, thanks and have a good night/day/morning! 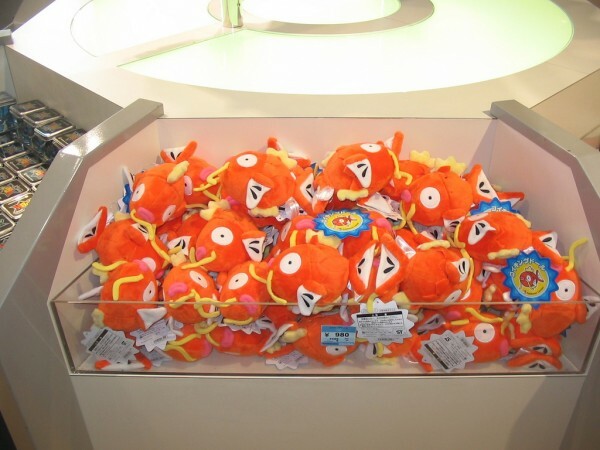 have a swell MAGIKARP just for $500! What do you say?" 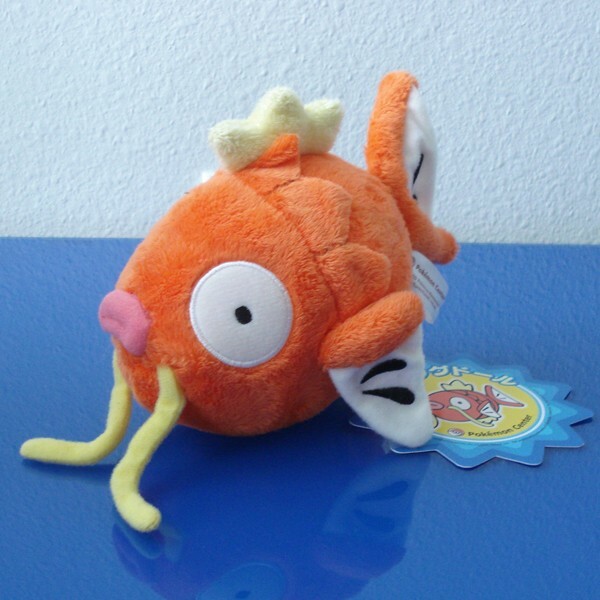 I want to thank those who gave me a heads up on the Magikarp Pokedoll on eBay. Sadly I lost again -_-. It doesn't matter if it is the American or Japan release. I had much more to add but i dont want a too lengthy post so i'll leave it at this :] sorry again if it was long, im about to burst with excitement from all this amazing merch i see! Hello! I am currently on the lookout for a HQ Eevee plush and a Pokemon Time Vulpix tin. They have recently been released, but sadly, cannot find either items for sale anywhere (Only a $200 Eevee which, I'm hoping to find a bit cheaper). 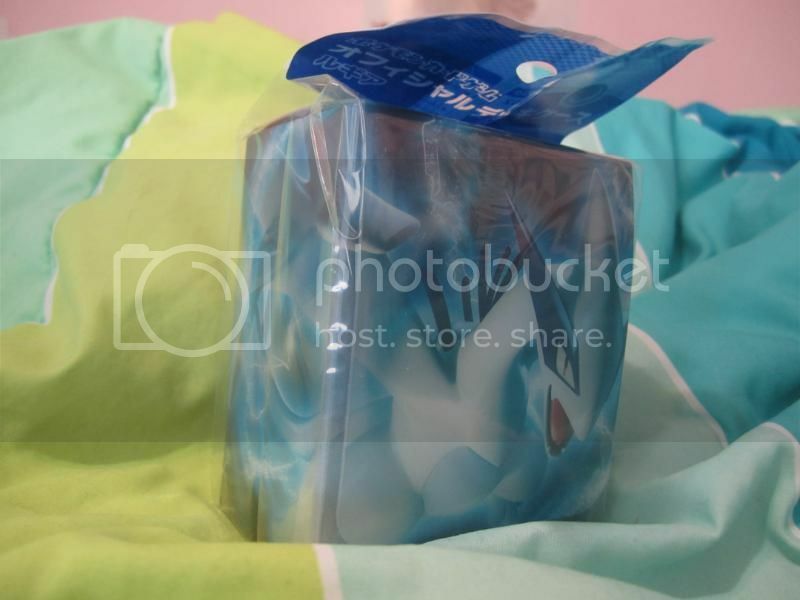 If anyone has these items for sale or could do a pick up, I would be most grateful ^_^ Thank you! Hello everyone! Hope you guys are all doing well. I finally got a sales permission last 10/27 and now I would like to promote my first ever sales post. Yay! It is posted now on my journal and would serve as my permanent sales post. 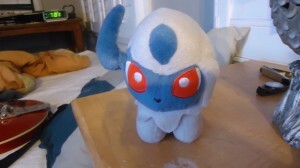 I am selling plushies, mostly Pokedolls and PokeCen plushies, and most of them are MWT. 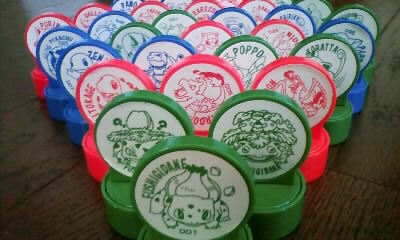 Please do save the page or bookmark it as I will be constantly updating it and new items will be added eventually like Pokemon POGS, Battrios, etc. On a side note, I will be doing my recent gets post in a few days, and probably, a collection update, so I hope you guys will be able to see it. I am looking for a bidder/shipper with previous GA experience. 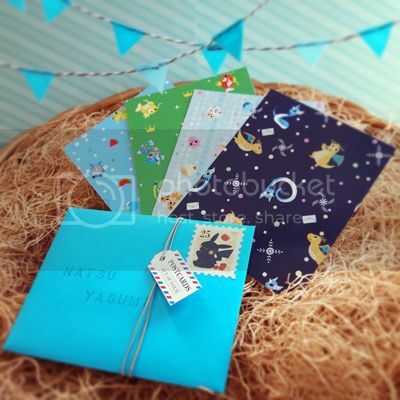 Preferable a person who lives in the US to avoid high international shipping but not a must. This auction will end less than 3 days so quite an emergency. edit: this is a lot on y!j. Just thought I should add this info in case people do not have access to bid on it. Collection update and a couple of wants. 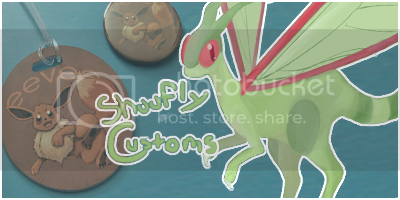 I have some customs slots open for the first time! Please let me know if you would like to have any of these items! Thanks! hello all! just some quick wants! I'm looking for the Chandelure and Lampent Halloween plush? I'm really lookin g for a bargain too! I don't have a whole lot to spend, but I can't resist finishing Litwicks line. Feel free to comment or message me offers. Haii guyz! 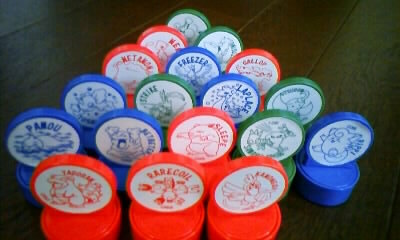 It's my birthday, so I've gotten some money for the eevee's! But unfortunately I need more, and I don't need a second absol :(. I'm keeping my 2006 version one :) It was a tough choice. Absol is minty fresh, but his hang tag is a little creased. I ship from the US. I'm willing to ship outside the US, but I'm a little uncomfortable doing so, and you are responsible for paying extra fees on shipping. My feedback is here, and I was granted sales permission by entirelycliched a couple of months ago. Casual Wants Post - Drayden! Hey everyone! Thanks for my last wants post! 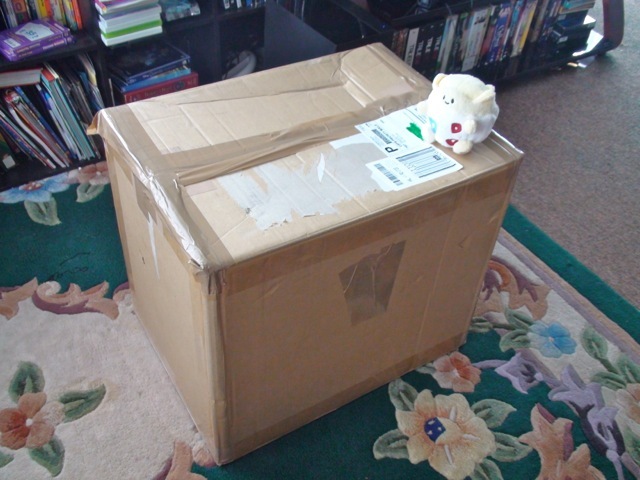 i managed to get some nice Dot Sprite Stuff on its way to me! So i'm looking forward to them coming in! 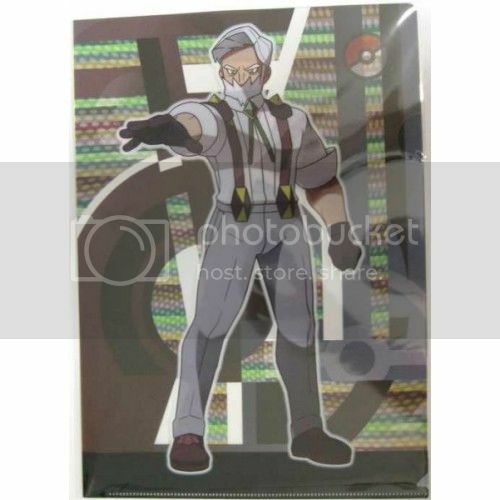 The Badge from this set (Letter G) It looks so shiny and pretty, Im a fan of badges and have a few Thunder Badges in my Surge Collection.. so i'd love some of Drayden. Thanks for your time guys! I hope you all have good holidays! Hey everyone! 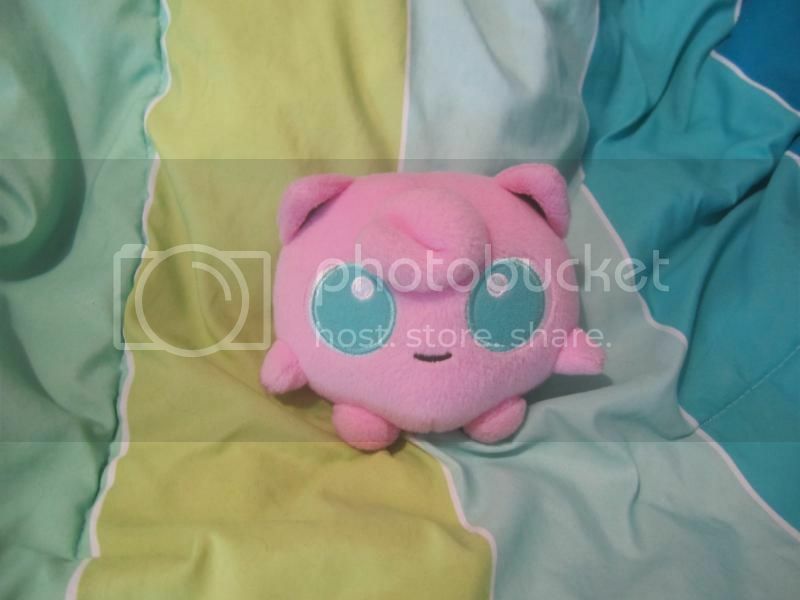 I've been a Pokemon fan for a long time, but other than the games (and one or two plushies), I haven't really seriously collected any Pokemon merchandise. I recently started replaying all of the games and feel like it's time to start. I'm trying to base my collection around the main Pokemon teams I have in each game. So I'm going to start small and go at it a little at a time (figures first) until it turns into a full-blown addiction. Hopefully my next post will have some pictures to track my collecting. I'm looking to start with some figs of my Pearl team (the game I'm currently replaying). I'd like for these to be in like-new condition if possible. I'm trying to get the figures to be (loosely) in scale with one another, so if you have better suggestions than the ones I've listed, please feel free to tell me! (I'm aware of Zukan's, but would like to have figures that are bigger in size). I know some of these are readily available on eBay, but I figure I'd ask the community here and give some collectors a chance to unload some stuff. The Chou Get figures don't need stands. If you have any of these, please post or DM me the price your looking to sell it for. Firstly we won the quick phanpy GA!! :D We will be getting some INSANE discounts too, joltex will be posting totals in the next few days as soon as I get the invoice. I also have some customs available, they are felt decorations and can be made christmas themed. see below the cut for more! 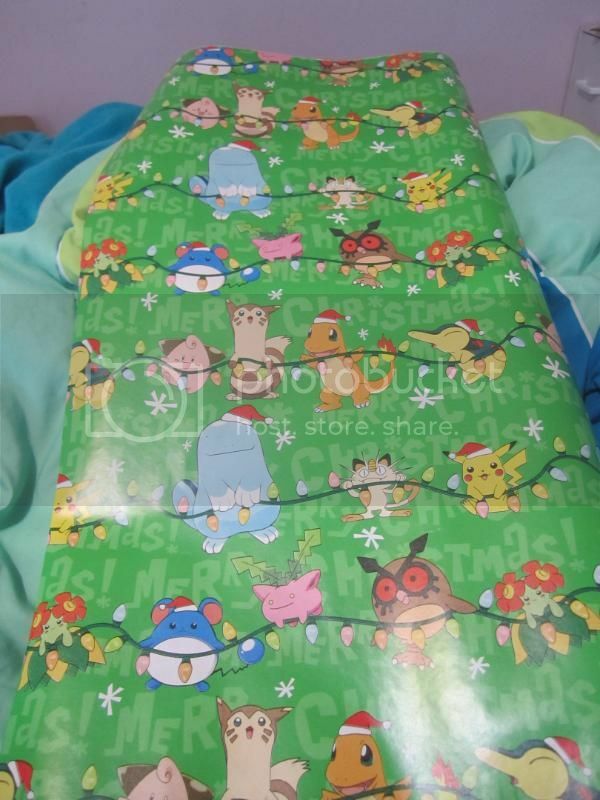 Just a friendly reminder that my offers on Johto wrapping paper, Jigglypuff pokedoll, Lugia deckbox, and more end in about 2.5 hours! The slots for that are available in the same link above, along with examples also in that post. 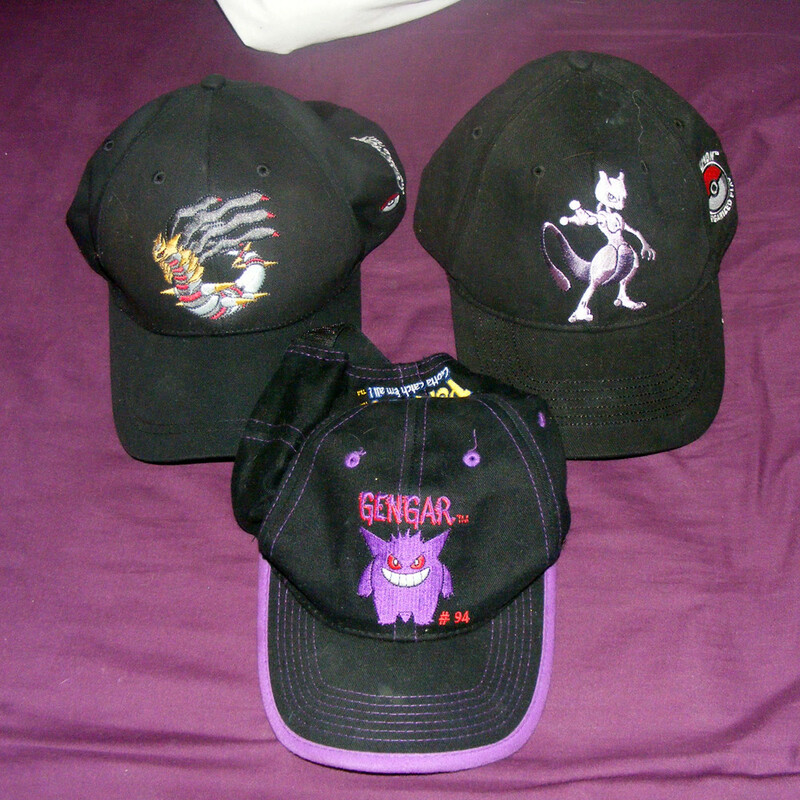 in preparation for christmas, I've added some more bits to my sales post <3 please check them out when you get the chance <3 includes the brand new pikachu black and white promo, some rare pokemon caps (including gengar!) 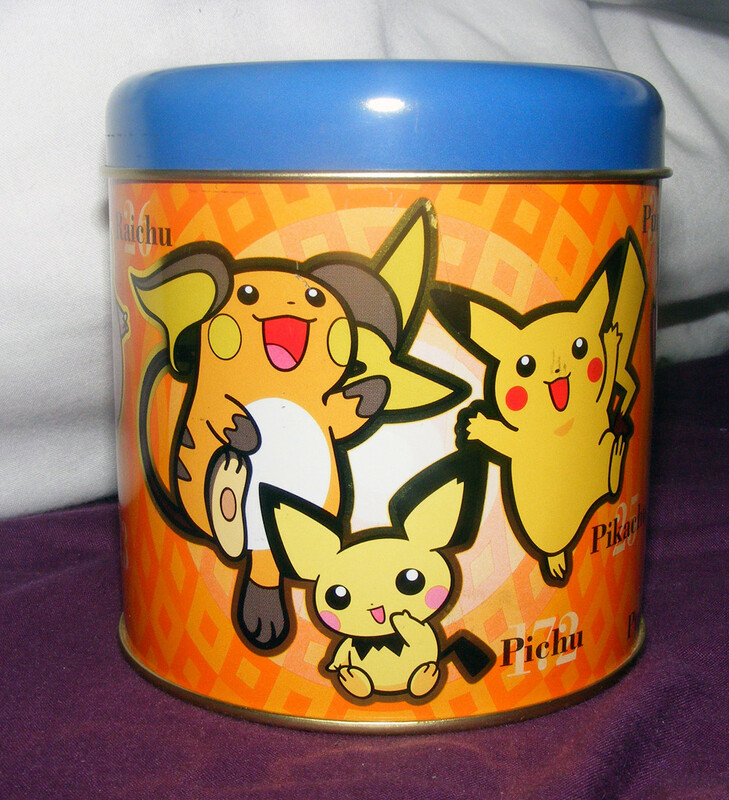 and another piece of rare raichu merch! A wild possible new collection appears?! I can't resist it any longer... I'm drawn to this adorable sucky monster eel thing! 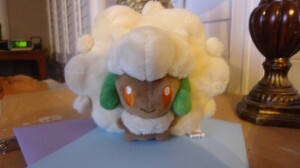 I was going to wait until I had a (probably custom made) Pokédoll, but I don't see that happening for quite a while. So, I come to you all with a question. What merch does Eelektross have? Throw me everything you can think of, even the most obvious of items. I shall make a list! Thanks guys! 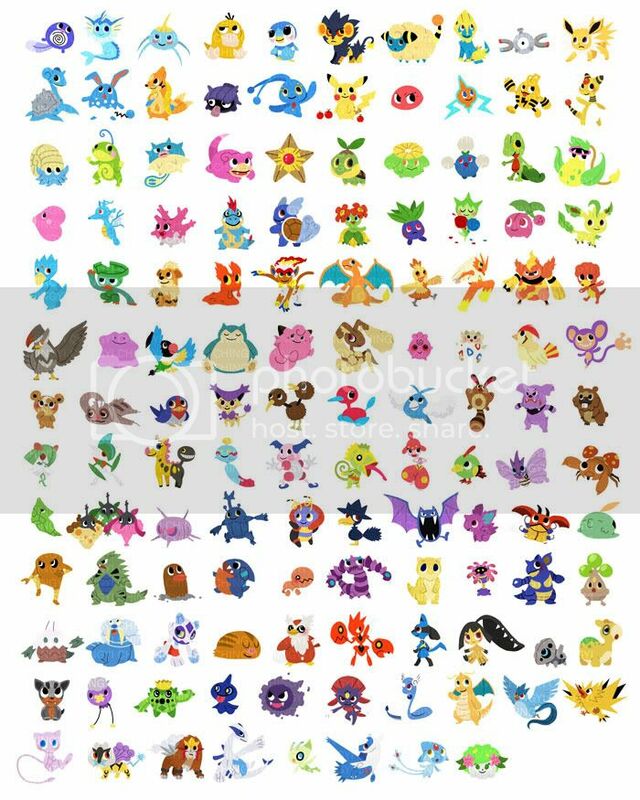 Edit: Okay so, I will start off my collection with the National Dex charm, since none of the plush I want are available yet! Let me know if anyone has one for sale! guess what i got in the mail?-! Photo competition "colours of autumn"
Edit: OH! 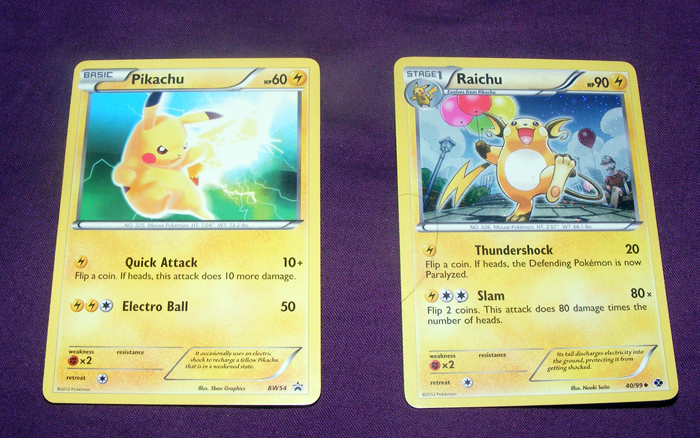 And I'd also love to trade for the new holographic Raichu and Pikachu BW Promos. LIST UPDATED Nov 27th Has list NOT updated...please inquire. I do have a Crystal Wall available and might consider trading my Non-FA Celebi EX. 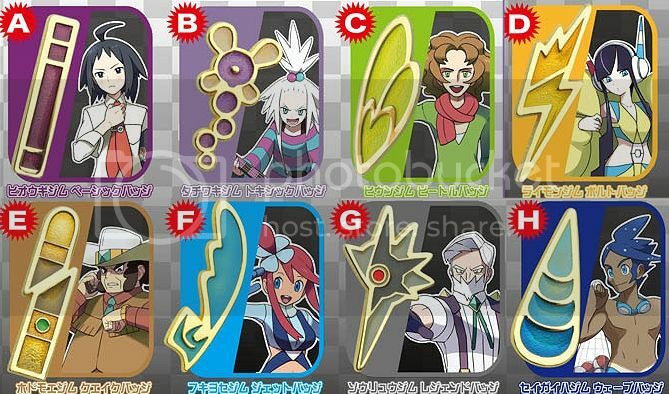 I have also decided not to collect Zekrom, Reshiram, and Kyurem so that means I have a FA Kyurem EX and a promo Kyurem EX available...along with a Black Kyurem card and Reshiram card.